Superintendent Office / Khalid N. Mumin, Ed.D. About Khalid N. Mumin, Ed.D. For the last 20 years, Dr. Khalid N. Mumin has served in various capacities as a teacher, dean of students, principal and central administrator. Dr. Mumin earned a Doctor of Education in Educational Leadership from the University of Pennsylvania, a Master of Education in Teaching & Curriculum from Pennsylvania State University, a Bachelor of Arts in Secondary English Education from Shippensburg University, and an Associate of Arts in English from Northeastern Christian Junior College. He also graduated from the Leadership Maryland Program, as a member of the Class of 2012, and he is a member of several national and local organizations. The strength in his leadership revolves around being a student-centered educator, who has a vision of success for all students and a belief that building positive relationships through cultural competencies is paramount in promoting student success. 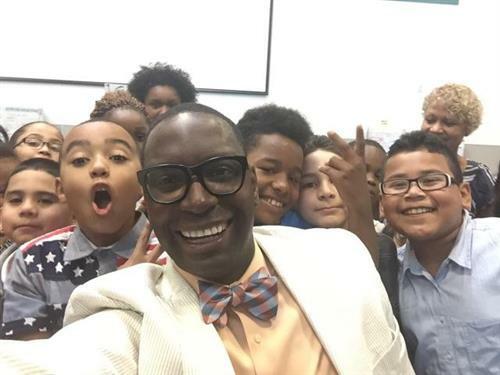 Dr. Mumin is a change agent and is committed to promoting and sustaining student achievement, equity and access to educational programming for all students, as well as creating plans that are fiscally responsible. Dr. Mumin maintains a keen focus on fostering collaboration with stakeholders, including students, parents, teachers, administrators, community, public officials, business partners, and higher education. His goal is that all of these groups will come together on the same accord to function as a complete community of learners focused on student success and student access to college and career opportunities. Dr. Mumin has a documented history of success of possessing excellent leadership skills. He was recognized nationally as a “School Board Savvy Superintendent” who builds and sustains positive relationships with school board members through communication and professional development. 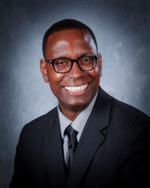 Most recently, the National School Public Relations Association named Dr. Mumin a “Superintendent to Watch.” He was one of 24 superintendents in the country to earn the honor in 2016.